Narendra Modi was voted to power on a platform of accelerating job creation and slashing corruption. He has disappointed on the jobs front. And his political machinations in Karnataka, trying to grab power by hook or crook, now imperil his claim to usher in clean politics. This will dent his image — and votes — in the 2019 general election. The BJP can argue that the Congress has historically been the greatest culprit in buying defectors and appointing governors who misuse their powers to favour their appointer. Very true. Yet Modi’s charisma depends on his showing how different he is from the old Congress crooks. A few machinations and dirty tricks will not suffice to ruin his image. But the more he replicates Congress’ dirty tricks, the less different he will look to voters, with electoral consequences. The list of sordid manipulations keeps growing — Uttarakhand, Arunachal Pradesh, Goa, Manipur, and now Karnataka. Not all succeeded, but they helped the BJP come to power in several small states, without obviously harming Modi’s image. He can argue that voters view purchased defections more leniently than crooked business deals. But this puts him on a slippery slope that will one day ruin his greatest asset — his clean image. BJP-appointed governors have abandoned all pretence of impartiality. After elections in Goa and Manipur, the Congress was the largest single party in hung Assemblies. Instead of asking Congress to try and form governments, the respective governors swore in post-election coalitions organised by the BJP. After the hung election in Karnataka, the governor took the opposite route — asking the BJP as the largest single party to form the government, even though the post-election alliance of the Congress and JDS had a clear majority. The governor should have ordered the Karnataka Assembly to meet in two days to settle the issue quickly. Instead he gave the new BJP chief minister Yeddyurappa 15 days to buy a majority. Fortunately, the Supreme Court intervened and decreed an Assembly vote within a day. The BJP brazenly argued in court for a secret Assembly ballot, enabling defectors to hide their defection. Nothing doing, said the Court. The anti-defection law provides that two-thirds of MLAs of a party must split to avoid disqualification, a high hurdle. But, as shown in Uttarakhand in 2016, a majority can also be engineered by suborning a few legislators of the other side to resign or abstain. JDS chief Kumaraswamy claimed his legislators were offered Rs 100 crore each to defect. Fortunately, this gambit failed. When Yeddyurappa was last chief minister, his Cabinet included the Reddy brothers, infamous for a massive iron ore scam. Yeddy was acquitted by the courts, but as chief minister clearly winked at the scam. When the BJP dropped him after the scam broke, he and the Reddy brothers split the BJP three ways, hurting the party badly in the 2013 state election. This time all three splinters came together, winning many more seats. But their failed attempt to buy a majority made them look both crooked and incompetent. Cynics say that voters regard all political parties as crooks, and so corruption is a non-issue. Sundry machinations enabled the BJP to come to power in Arunachal Pradesh, Manipur and Goa, without harming Modi’s appeal. In Karnataka, the BJP increased its tally from 40 to 104 seats, despite the Yeddy-Reddy taint. Does this mean corruption does not matter? Not at all. But for the Yeddy-Reddy taint, the BJP might have won a clear majority in Karnataka. True, corruption is not the only issue on voters’ minds. Yet the dizzy rise of Kejriwal, and of Modi himself, owed a lot to their clean image after dismal years of UPA corruption. Voters often seem cynical and uncaring about corruption, but their simmering underlying resentment often bursts into fury. Despite having the highest economic growth rate in the world, India has the highest anti-incumbency voting trend among all democracies. One reason is public disgust with corruption. Even if corruption sways just 2% of voters, that can make the difference between victory and defeat in closely-fought elections. In Karnataka, the Congress faced corruption charges plus anti-incumbency. This helped the BJP to gain seats despite the Yeddy-Reddy taint. But those favourable conditions are about to change. In December, elections are due in Rajasthan, Madhya Pradesh and Chhattisgarh. The BJP is the incumbent in all three. 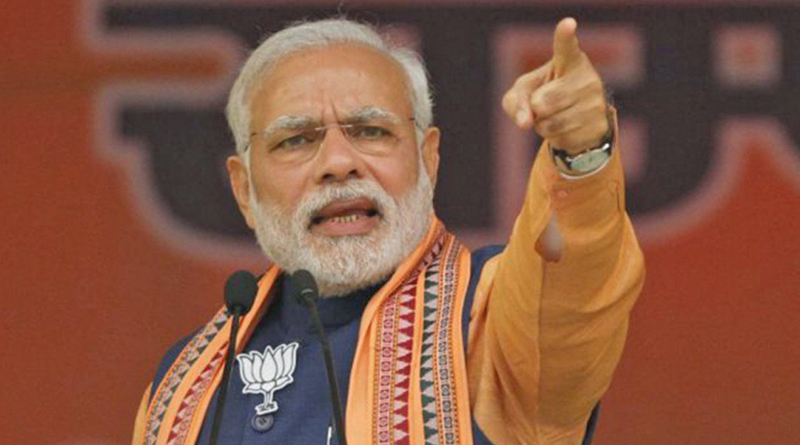 In the general election in 2019, Modi will be the incumbent. With a really clean image, he could overcome anti-incumbency everywhere. But his series of machinations are tarnishing his holier-than-thou image, and hence votes. What so far has looked like clever politics could cost him dearly in the coming elections.